All aboard, Hello Kitty and friends! Time to see the world in this super fun airplane play set! 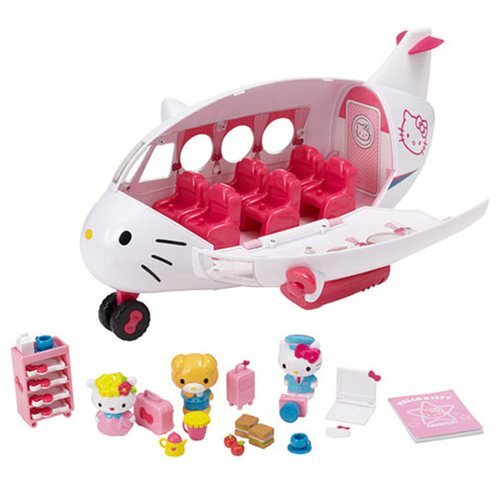 The Hello Kitty Jet Plane Playset includes over 20 play pieces along with a cool camera stamp. Measures approximately 18-inches long x 11-inches tall x 6-inches wide. Ages 4 and up.